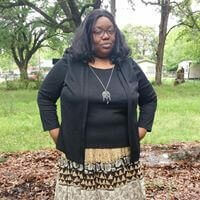 Home » Member Interview: Latrece Johnson, author of What Is A Peninsula? Member Interview: Latrece Johnson, author of What Is A Peninsula? Book Title: What Is A Peninsula? What is your book about? The unique peninsula located in Mobile County, Alabama–the Peninsula of Mobile Bay. I am inspired by nature. Living along the Gulf Coast of Alabama affords me loads of opportunities to interact with the natural world. Additionally, I enjoy sharing that information with children who seem to find fascination with nature in ways we may not always immediately see. Can you describe your writing process? How did you get your book written and how long did it take? I chose to self publish because I wanted to have the book available for an event. The process of self publishing was daunting at first because there are so many options but I chose CreateSpace which has worked well for me thus far. How do you hope your book impacts the world? I want ‘Peninsula’ to engage parents and youth to explore their natural world. Whether it’s identifying and knowing the plants and trees that grow in your yard or fauna that lives or visits there. I just want people to appreciate and care for the earth we have been given. Please tell us a bit about you and how you decided to write your book. Is it part of a personal goal, business goal, nonprofit or other mission? I teach full time with the Head Start program. Head Start is the preschool program for three to five-year olds funded by the government through a grantee such as community action programs or elementary schools. The book was inspired and written in part for an art and fundraiser event in my neighborhood, “Art–Peninsula Style”, which was to be held in October 2017. Weather events postponed the event until April 21, 2018. In the time between those dates, I was featured with other local authors at the Mobile, AL Literary Festival (March 2018). I enjoy writing because I enjoy books and reading! I promote literacy period. I earned a M.Ed. in reading because of the great passion I have for the printed word. My family–husband, daughter and three sons–is my inspiration. They are my greatest ministry of service in this life! Growing up, my mother was a Bible teacher at our church so I engaged the Word of God all the time beginning with my preschool years. In elementary school, The Boxcar Children and Nancy Drew series were great favorites. As an adult, I continue to read the Bible. Additionally, I drop a few political thrillers in my reading bag along with all the teacher professional development books! I want to offer a picture book to go along with ‘Peninsula’. I’ve been working on it for about a month now. 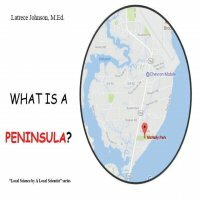 ‘Peninsula’ is nonfiction so to encourage greater interaction, I purposed to write a nonfiction companion featuring the names of actual places along the Mobile, AL Peninsula. The main character, Peninsula Pete, and his best friend Rabbit help a bayou resident with a big problem! I hope to have it available by the end of summer. Collectively, I am working on three books in various genres. I am eclectic! What advice would you offer fellow authors who are just getting started? Keep positive people in your circle who will offer healthy critiques of your work. Do not be afraid to be critical of your writings. You’ll think something is great and then you read it back or have someone else read it and it may or may not work! Engage your local literary clubs and seek opportunities to promote you and your writings as your schedule allows; and by all means encourage others! Aim to inspire.